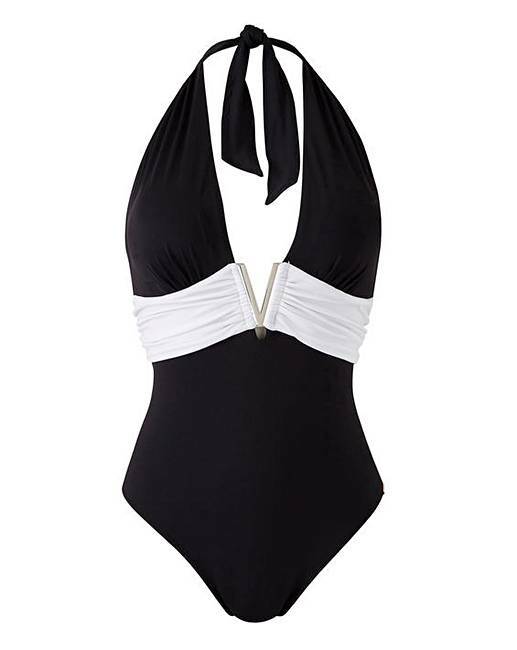 Take the plunge with this deep V-neck halterneck swimsuit from Figleaves Curve. This monochrome piece features plunging neckline, silver hardware & low back, halterneck tie to customise your look. 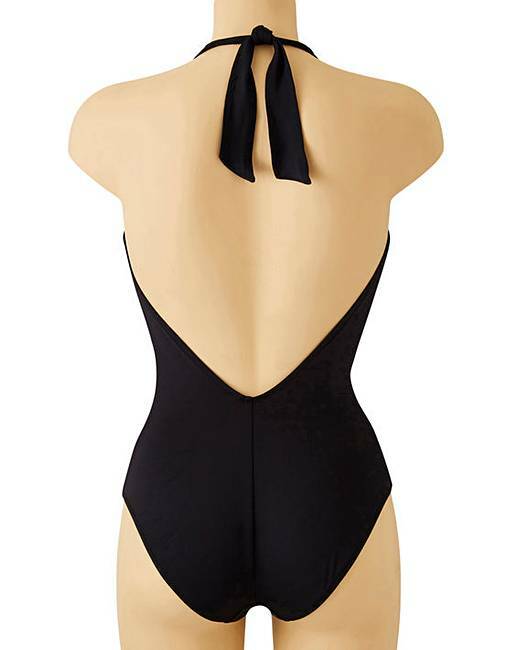 This sophisticated one piece will accentuate your curves in all the right places.